With just four hours of sleep after the 2009 Philippine Blog Awards Night, me and my siblings were already awake at around 2:00 AM preparing for our 3 days and 2 nights trip to Hong Kong and Macau. Small Secure (Sling) Travel Bag to be carried around for most of the trip – contains passport, IDs, ticket, money, credit card, and camera. 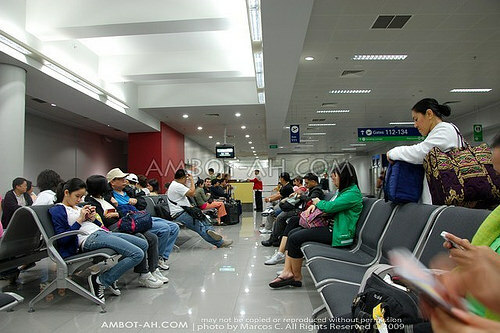 At around 3:40am, We arrived in Ninoy Aquino International Airport (NAIA) two hours before our Manila to Hong Kong flight. 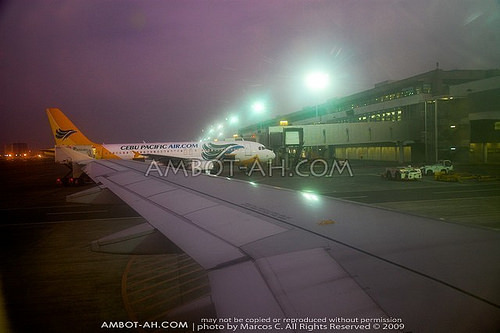 Cebu Pacific uses terminal 3 (T3) for all its domestic and international flights. We had to wait until 4-5:00am for the international check-in counters of Cebu Pacific to open, so for the meantime, we ate breakfast in one of the terminal’s food stalls. After check-in, we paid the P750 terminal/departure fee (for international flights) and P1,620 for the travel tax (only applicable to Philippine residents), and then waited at the pre-departure area for our boarding call. I’ve been to NAIA T3 several times already but only for arriving flights. 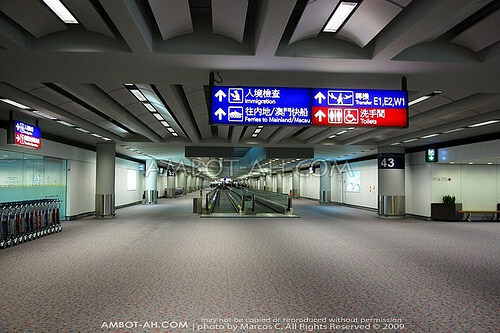 This is my first time departing from T3 … going through the check-in and pre-departure procedures. From the outside T3 looks boring … I would’ve liked it better if it had an ulta-modern appeal since it’s NAIA’s newest terminal. 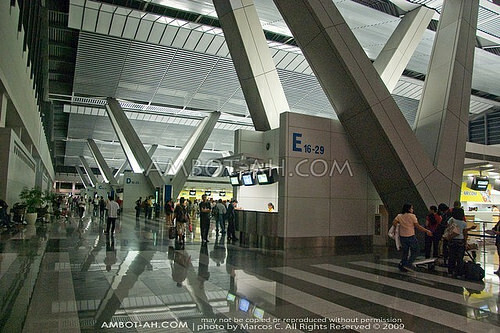 The only consolation I have for T3 is that it’s newer and much bigger than the other terminals in NAIA. It’s actually quite HUGE! having a total length of one kilometer. Such a pain for walking with hand carry baggage, good thing they have walkalators spread across the building. The architecture gets a lot better inside but it still doesn’t compare to the “zenish” style of T2 / Centennial Terminal in NAIA. We bought our ticket, months in advance, for only P2,134 (round trip fare per person) during a Cebu Pacific Promo Sale (view the latest promo fares on this link or learn how to book these cheap flights). Cebu Pacific flies to Hong Kong 5 to 6 times daily. We chose their first flight at 5:40am, which arrived on time during our trip. We forgot to mention at the check-in counter to give us good window seats. 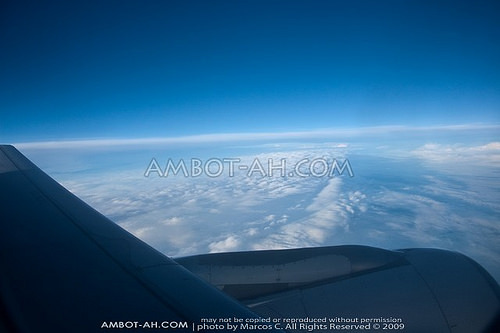 We were seated near the wing, which blocked most of the view during the flight. Good thing the plane wasn’t full, I had the chance to transfer to a better window seat. Cebu Pacific Planes use the tubes/bridge at the far end of the terminal building at the Hong Kong International Airport. Immediately after exiting the plane, my brother told us that he couldn’t find his passport, which he thought was still in his pocket. We were so worried and started to panic … not able to find the passport in his pockets, and bags. We were still at the terminal tube and the airport staff were already signalling us to move on … we looked like soon to be OFWs looking for work abroad and then anticipating to be deported back to the Philippines moments after arriving at the airport. If I weren’t so worried, I would’ve just laughed at our situation. Luckily, one of the airport officials found the missing passport under his seat in the plane. It must have fallen while he was sleeping during the flight. After our stress-inducing first blooper, we walked a lengthy way to the next step – the immigration counters. We ended up going to this large hall with a platform and rail line. At the time, we were confused and thinking that we weren’t ready to go out of the airport yet since we still haven’t gone though immigration, exchanged our US$, and claimed our MTR Travel passes. Taking cue from the other passengers, we blindly went inside the next train. Turns out that train was just for transporting passengers from different parts of the airport … and not the trains going to downtown Hong Kong. Second blooper! The queue at the immigration counters was soooooo long! It took us a little more than an hour to go through this step. This was our third blooper, which was a consequence of our first blooper. If you want to avoid long wait lines at the immigration counters, I suggest making a run for it immediately after you exit the plane to get ahead of all the other passengers. The airline you flew in gives you a Hong Kong arrival card to fill up during the flight. You should present this card together with your passport at the immigration counters. Since we didn’t have any of our bags checked-in, we didn’t have to go through the baggage reclaim hall. 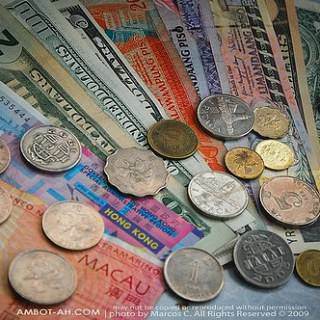 We exchanged most of our US$ at the currency exchange counters at the International Airport (after reading tips online saying that the rates at the airport are good). We found out later that the exchange rates in Downtown Hong Kong (Tsim Sha Tsui and Mongkok) are actually a lot better than the rates at the airport. I wished I had just changed a few bucks in the airport … just enough to get to Downtown Hong Kong and then change most of my money there. For our trip, we got a 3 Day MTR Airport Express Travel pass with 1 single journey on the Airport Express. We purchased it online (Hong Kong MTR official website) for HK$220 and claimed the actual tickets at the Hong Kong International Airport. Airport Express Travel Passes are an ideal way to get around Hong Kong. Enabling tourists to travel not only to / from the Airport, but also within the city. 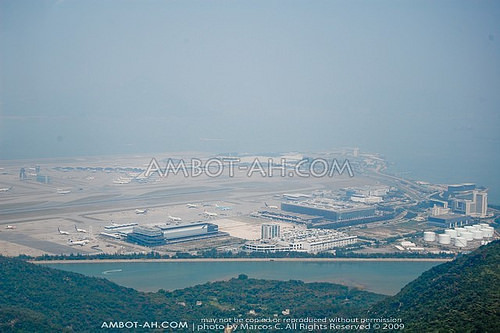 Hong Kong International Airport is locally known as Chek Lap Kok Airport because it is built on the island of Chek Lap Kok. Chep Lap Kok is one of the islets surrounding Lantau Island. 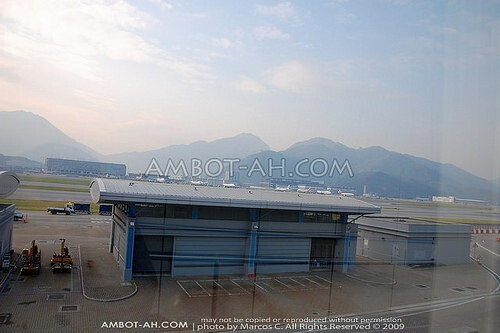 From the airport, it takes around 30 minutes to Downtown Hong Kong. The fastest and most convenient way to transport from the airport to the city is through the Airport Express line (regularly priced at HK$100 one-way). A taxi ride to Tsim Sha Tsui costs HK$225 while going to Central will be just under HK$300. Red-colored taxi takes passengers from the airport to anywhere in Hong Kong, including New Territories and Lantau Island. Green taxis will travel only within the New Territories. Blue taxis are limited to Lantau. 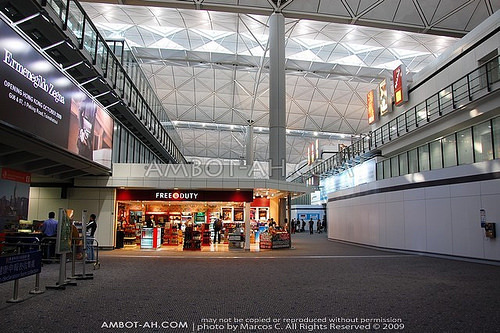 The Cityflyer airport bus is also an inexpensive option to get in and out of Hong Kong International Airport. The buses depart every 15 minutes to Central with travel time taking approximately one hour. Hey missy sorry for the confusion. The airport express line is separate from the MTR lines. The ticket that we bought had a single journey on the airport express, that transports passengers from the airport to the MTR lines, and a 3 days unlimited ride within the MTR. gud pm i am mark, i am very interested in buying ur ticket VIA HK can u pls txt me and clear me how much u want me to pay u the 3 tickets u have my cp # is 09093517447/ 09293827355 pls do reply or txt me thnk u …. 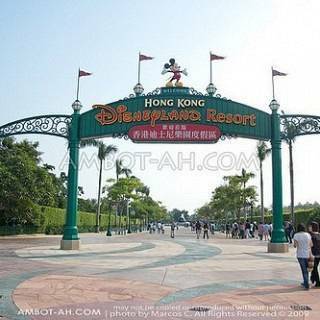 regarding your Disneyland, Ocean Park HK tickets, did you purchase it online? same goes with your Turbojet Ferry Ticket? Also did you guys made an online reservation to Wing Sing Hotel or you just walked in? Hey girlie … bought the Disneyland and Turbojet ticket online. We paid for the oceanjet ticket and wing sing reservation in person. is it safe to buy tickets (for turbojet etc) or make hostel reservation online? usually they will ask for the last 3-digits of your credit card right? safe ba yun? We used a credit card too (Turbojet, Wingsing Hotel) for the online reservation so I guess it’s safe enough. Hi Marcus. My wife & I are going to HK for the 1st time & will likewise visit Macau. 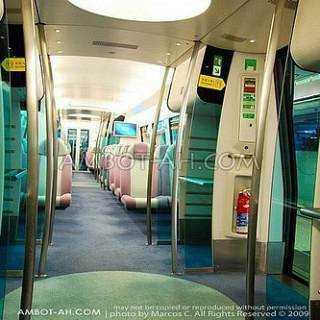 Regarding the MTR Airport Express Travel, can we also use this in taking the Light Rail Transit, MTR Buses as well as the ride from the Airport to any point in HK? Do we need two tickets or only 1 ticket for the two of us? What do you mean by a single journey? One ride only?Please enlighten me all about the modes of transportation. Thank you Marcus. Note sure about the LRT and MTR Buses. “Single Journey” means you can only use the pass from/to the airport once but you can still use the “MTR Airport Express Travel Pass” for the unlimited rides within the City Center. We only took the “Single Journey” pass because or return flight is in Macau Airport so we didn’t have to buy the round trip tickets to the airport. So if we intend to ride buses in getting around HK, we pay actual on site? Like the 629 bus in getting to Ocean Park…. Hi again Marcus. Could you suggest a good but inexpensive Hotel in Yau Ma Tei cause I think Wing Sing was already sold? I like the place in Yau Ma Tei since it’s nearer to the MTR & Temple Street night Market, Ladies night Market & the numerous bus route run in nearby Nathan. Considering also nearby 7-11 & Mcdo, hehe. Hello Edwin, got your text … sorry can’t reply through my mobile right now. I’d appreciate it if you post all your questions here :) Usually when I like to find places to stay in an area, I use google maps to browse for nearby accommodation options. THANKS! WHAT A SWIFT REPLY, HEHE. WAS READING CASA HOTEL’S WEBSITE WHILE WAITING FOR YOUR REPLY. OK I’LL POST ALL MY QUERIES HERE. THANKS AGAIN MARCOS. I’m about to make an on-line reservation with BRIDAL TEA HOUSE. Noticed that their check-in time is still at 2pm. We’ll be arriving at their hotel around 9-9:30am. Can we make an early check-in? So we could go about our tour of the city since we only got 2 nights in HK. No Problem. Bridal Tea House was also one of our first options. You should check with the hotel directly. Usually they would allow it depending on the availability of the rooms. Hi there again Marcos. Wii there be a terminal fee at Macau Int’l Airport for our flight back to Manila? 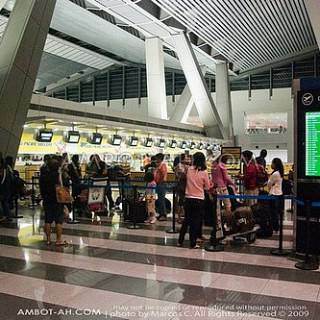 You only mentioned terminal/depature fee at NAIA Terminal 3 Mnla to HK. There’s no departure/terminal fee in Macau International Airport. You already pay for it when you buy a ticket. 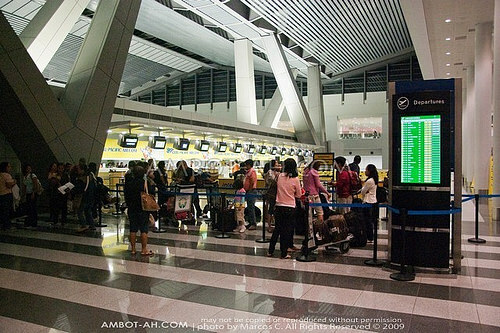 As a general rule, almost all other countries in the world do not charge terminal/departure fees onsite … It’s only practiced widely in the Philippines. 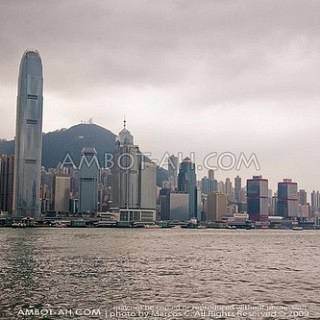 Just curious, what type of lens were you using taking those fabulous shots on board Star Ferry & especially on top of the SKY TERRACE with a magnificent 360 degree view on the tallest point in Hong Kong? You’re using a NIKON D40? Hi Marcos. You mentioned almost all of HK have WIFI access. So I’ll be bringing my dependable iphone 3gs for directions using google maps. Even in the streets do they have wifi too? Or is it only inside Hotels, Malls & other establishemnts? Is it also the same in Macau? 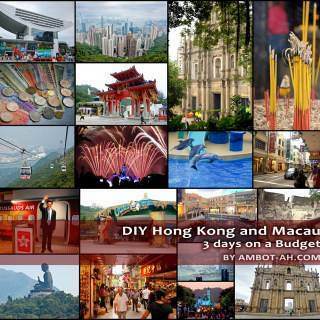 I’ll be following your HK & Macau 2 nights & 3 days itineraries to the lettedr. It’s our 1st time in HK & Macau. Hope we don’t get lost. Not so sure about that, I just heard about it online. I wasn’t touting a WiFi enabled device during the trip so I can’t say for sure. In the statement “P750 terminal/departure fee (for international flights) and P1,620 for the travel tax (only applicable to Philippine residents)” so i need to pay a total of 2370 aside from the ticket that i bought from the airline? 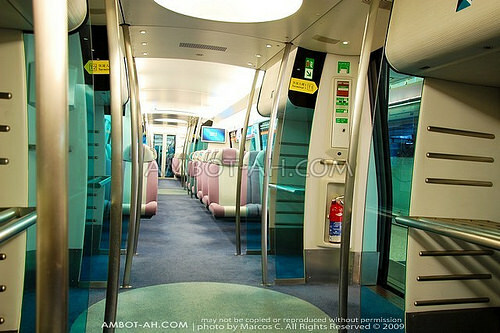 what about the MTR Airport Express Travel pass, 1 ticket good only for 1 person? 1 ticket good for morethan 1 person (i.e 2)? In Disneyland and Ocean Park, admission fee includes the rides fee like in Ocean Park’s Abyss Turbo Drop? or rides in Disneyland? madamo gd nga salamat. Hmm…. you’re really making sure huh? … yes you need to pay on top of the plane ticket, 1 travel pass is good for 1 person only, admission fee in Disneyland and Oceanpark includes all ride. Hi! This is really a helpful article. I am going to HK this coming January 27 and will be staying there for 10 days, my boyfriend works there and I am going to visit him. He bought my Cebu Pacific tickets online. I’m a first time flyer so I am quite nervous about it. I heard that at the check in counter, they would ask for the credit card that is used to pay the tickets online, did that happened to you too with Cebu Pacific? Cause some say it just happens with PAL. Your answer will be much appreciated! I’ve not experienced being requested to show the credit card (photocopy) ever… but I always bring it with me anyways. None. The airport charges in HKIA are already included in your plane ticket fare. I find your travel blog very informative. My husband and I are planning to go to Hongkonh and Macau this coming May and we’re quite afraid that we’d get lost. We’ll be arriving in Hongkon at 12 midnight, will there be any transportation available at that time like the MTR? Also will the hostels accept guests at those times? I’m still looking for a cheap place to stay though. Your thoughts are highly appreciated. Thank you! hi! you didn’t checked-in any bags? hm, pero you have your tripod with u diba? pwede ng handcarry yun? thank you! 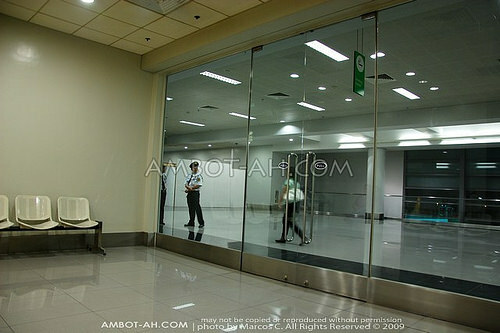 ;) kasi we’re not having our bags checked-in din, and may dala din akong tripod, para wala ng hassle. thanks! i super love your blog! very detailed and beautiful photos! salamat! :) God bless! My memories a bit hazy … I think hindi pina check-in ang tripod ko at the time and we hand carried all of our stuff. Hindi pa kase strict ang NAIA at the time. Pero ngayun, I think kelangan mo talaga icheck-in yung tripod if they see it sa xrays. From what website did you purchase your MTR unlimited pass? Do they have a pass that’s just for unlimited MTR (without the single trip from the airport to down town HK)? Hi sir,your blog is very informative and it helps a lot to us who’ll travel to hk n macau for the first time. By the way, I will going to hk together with my mother 68 yrs old and my daughter 14 yrs this 3rd week of oct 2011 and We’ll be arriving in Hongkong at 0100AM , will there be any transportation available at that time going to downtown? also is the hostels accept guests at earlier times?. Please help. Thank you! Hi.. I found this site very useful but… I would like also to ask about the immigration process at Cebu Pacific. I’m planning to meet my boyfriend in HK on December 17, we’re planning to stay there for 3days and go back to the Philippines together. This is gonna be my first time to travel on a plane and abroad. I’m 21. 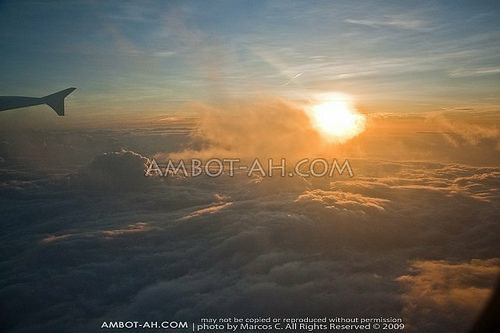 Will there be any complications if i’ll be traveling on December, Alone? Please message me soon. Thanks so much and more power to this site. The airlines do not process the immigration. It’s the Philippine government that does it. I don’t see any complications if you’re going to travel in December .. maybe longer lines because of the holiday traffic. Hi. I found this site very useful but… I would like also to ask about the immigration process at Cebu Pacific. I’m planning to meet my boyfriend in HK on December 17, we’re planning to stay there for 3days and go back to the Philippines together. This is gonna be my first time to travel on a plane and abroad. I’m 21. Will there be any complications if i’ll be traveling on December, Alone? Please message me soon. Thanks so much and more power to this site. Hi. Please message me ASAP. Thanks. Really need your help. Thank you so much. hi! I just ask how much the ticket from manila to hongkong back and forth. we are planning to stay in 3 days. on the month of october. thanks. hope you response..
hi marcos…did you pay another terminal fee coming back to philippines from HK? and by the way, is it still the same amount now P750? The travel tax is a Philippine travel tax, so you don’t pay for it in HK. HK travel/airport taxes are already paid for when you bought your ticket, so you don’t have to pay add’t taxes at the airport. We’re you all first time travellers? Yes it was our first time to travel abroad. Hi. Just a stupid question, how’s the weather in HK around lats days of November to first few days of Dec. I think you went there Nov. right? I am not quite sure what clothes to bring :D super thanks!!! It wasn’t too chilly when we went there. Most of the time, I didn’t use the jacket that I brought coz I also thought it would be colder than usual during berr months. pls.help me i bought roundtrip ticket to HK for 5days on Dec.19,2012..i dnt have sponsor but i have money to show will the immigration allow me to enter?pls. Help me its my first time…how much money to show?i just want to see Disney land pls.reply tnx a lot!<3godbless! In the statement “P750 terminal/departure fee (for international flights) and P1,620 for the travel tax (only applicable to Philippine residents)” per person po ba ito kasi me my husband and our son ang pupunta sa hong kong ask ko lng po kung per person po iyon tnx….God bless! U have a very informative blog. We’re planning to travel hk and macau this summer of 2013, and i just want to ask regarding in the immigration. Is it true strict tlaga sila? is it possible mahold ka if you don’t have any invitation from a friend in hk inviting you to go there? Or there is also possiblity mahold if you dont have any tour package availed? Yun kasi narinig ko sa iba, please help, thanks. Am I going to pay travel tax again and terminal fee? Me and my girlfriend will be touring macau-hk in sept. and we’re on a strict budget i.e. (Php 30k) you think we can survive? (budget for food, lodging and transportation only).